The ubiquity, ease and sophistication of mobile services has proven to be an extraordinarily popular addition to modern social and productive life. The term “generations” has been applied to wireless technology classifications as a way to refer to the major disruptions and innovations in the state of mobile technology and associated services. These innovations include the move to data and the Internet protocols associated with convergence of multiple forms of communications media (cable, mobile, wireline) and the wide array of services that are becoming increasingly available on portable devices. We are now on the cusp of the 4th generation rollout of wireless services with intriguing implications for enterprise mobility, “m-commerce”, and a wide array of new entertainment and personal productivity services. By 1982, the Federal Communications Commission (FCC) had recognized the importance of the wireless communications market and began to define Cellular Market Areas (CMA) and assigning area based radio licenses. It split the 40 MHz of radio spectrum it had allocated to cellular to two market segments, half would go to the local telephone companies in each geographical area and the other to interested non-telephone companies by lottery. Although AT&T’s Bell labs had effectively began the cellular market, it had estimated the 2000 market to be slightly less than a million subscribers and consequently abandoned it during its divestiture of the regional phone companies. Meanwhile financier Michael Milken began a process of helping the McCaw family buy up the other licenses, making them multibillionaires when they sold out to AT&T in the mid-1990s. The first generation (1G) of wireless phones were large analog voice machines and their data transmission capability was virtually nonexistent. This initial generation was developed in the 1980s through a combination of lotteries and the rollout of cellular sites and integrated networks. It used multiple base stations with each providing service to small adjoining cell areas. Its most popular phone was the Motorola DynaTAC known sometimes as “the brick”, now immortalized by financier Gordon Gecko’s early morning beach stroll in Wall Street (1986). 1G was hampered by a multitude of standards such as AMPS, TACs, and NMT that competed for acceptance. The Advanced Mobile Phone System (AMPS) was the first standardized cellular service in the world and used mainly in the US. The second generation (2G) of wireless technology was the first to provide data services of any significance. By the early 1990s, GSM (Global System for Mobile Communications) was introduced first in Europe and in the U.S. by T-Mobile and then other countries around the world. GSM standards were developed in 1982 by the Groupe Spécial Mobile committee. An offshoot of the European Conference of Postal and Telecommunications Administrations (CEPT), it was the standard that would allow national telecoms around the world to provide services. Although voice services improved significantly, the top data speed was only 14.4 Kbps. AT&T utilized Time-Division Multiple Access techniques (TDMA)-based systems, while Bell Atlantic Mobile introduced CDMA in 1996. This second generation digital technology reduced power consumption and carried more traffic while voice quality did improve, and security became more adept. 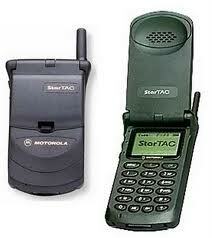 The Motorola StarTac phone was originally developed for AMPS but was sold for both TDMA and CDMA systems. New innovations sparked the development of the 2.5G standards that provided faster data speeds. The additional half a generation referred to the use of data packets. Known as the General Packet Radio Service (GPRS), the new standards could provide 56-171 Kbps of service. It has been used for Short Message Service (SMS) and MMS (Multimedia Messaging Service) services, WAP (Wireless Application Protocol), as well as Internet access. An advanced form of GPRS called EDGE (Enhanced Data Rates for Global Evolution) was used for the first Apple mobile phone, considered the first version using 3G technology. Third generation (3G) network technology was introduced by Japan’s NTT DoCoMo in 1998 but was adopted slowly in other countries, mainly because of the difficulties of obtaining additional electromagnetic spectrum needed for the new towers and services. 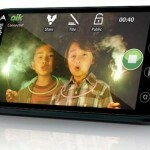 3G technologies provided a range of new services, including better voice quality and faster speeds. Multimedia services like Internet access, mobile TV, and video calls became available. Telecom and application services such as file downloads and file sharing, made it easy to retrieve, install and share apps. 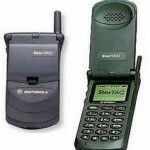 3G radio standards have been largely specified by the the International Mobile Telecommunications-2000 (IMT-2000) of the International Telecommunication Union but the major carriers continued to evolve their own systems such as Sprint and Verizon’s CDMA 2000 and AT&T and T-Mobile’s Universal Mobile Telecommunications System (UMTS), an upgrade of GSM based on the ITU’s IMT-2000 standard set, but an expensive one as it required new base stations and frequency allocations. A 3.5 generation became available with the introduction of High Speed Packet Access (HSPA) with promises of 14.4Mbps although 3.5-7.2 were more likely. Fourth generation wireless technology is still a work in progress but seeks to provide mobile all-IP communications and high speed Internet access to laptops with USB wireless modems, smartphones, and to other mobile devices. 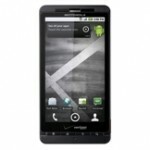 Sprint released the first 4G phone in March of 2010 at the communication industry’s annual CTIA event in Las Vegas. 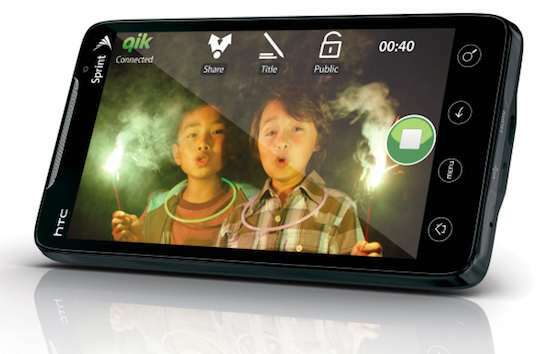 With a 4.3 inch screen, two cameras, and Android 2.1 OS the new phone was able to tap into the new IP environment Fourth generation (4G) technology is being rolled out in various forms with a dedication to broadband data and Internet protocols with services such as VoIP, IPTV, live video streams, online gaming, and multimedia applications for mobile users. While 3G was based on two parallel infrastructures using both circuit switched and packet switched networking, 4G will be rely on packet switching protocols only. 4G LTE (Long Term Evolution) refers to wireless broadband IP technology developed by the Third Generation Partnership Project (3GPP). 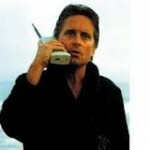 “Long Term Evolution” meant the progression from 2G GSM, to 3G UMTS, and into the future with LTE. The 3GPP, an industry trade group, designed the technology with the potential for 100 Mbps downstream and 30 Mbps upstream. Always subject to various environmental influences, data rates could reach 1 Gbps speeds in the next ten years. 4G phones are also being developed to access WiMax (Worldwide Interoperability for Microwave Access) using the IEEE Standard 802.16 with a range of some 30 miles and transmission speeds of 75 Mbps to 200Mbps. 4G WiMax provides data rates similar to 802.11 Wi-Fi standards with the range and quality of cellular networks. What has made the difference in technology has been the softer handoffs between base stations that allow for more effective mobility over longer distances. Going to IP will allow mobile technology to integrate into the all-IP next-generation network (NGN) that is forming to offer services across broadband, cable and satellite communication mediums. For a history of wireless communications. This is a great review of the 4 generations of wireless technologies. 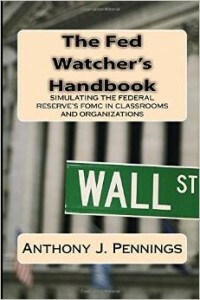 Anthony J. Pennings, PhD has been on the NYU faculty since 2001 teaching digital media, information systems management, and global e-commerce.